Choosing a filtration system for your tank can seem like a daunting task. There are so many different types of filters (Wet/Dry, Berlin Method, Jaulbert Method, Canister, UGF, Fluid, Protein Skimmer, etc.) to choose from, it can be mind boggling. Fortunately, there is a fairly simple method for selecting the right filter system for your tank. Before you can decide what filter types you want to use, you need to understand what function each filter performs. With the exception of the Biological Filter, no other single filter is an absolute requirement. Let's take a quick look at the different filters. Now that you understand the basics of each filter type, let's start putting your filtration system together. The following process will eliminate options which will not work for your situation, one by one until your options are reduced to only a few types. Click on the link below to get started. Learn what a sump is, the pros and cons of using a sump and the various styles of sumps. There is also information for those of you Do-It-Yourselfers who like to make their own equipment whenever possible. Offers a platform for the widest range of equipment. Can double as a refugium for algae, live rock or mangroves. Can keep all equipment out of sight. May be difficult to plumb. Increased chance of external water leaks. Now we come to the first fork in the road in choosing a filter. Selecting one of the options below will take you to the next step. YES I am going to use a sump in my filtration system. NO I am not going to have a sump. Saltwater aquariums which include a sump can house the widest variety of equipment. Models for everything from pumps, to wet/dry filters, to protein skimmers, to heaters, to algae, live rock and denitrators which have been designed specifically for sumps can be found. If you have a basic idea of which types of filters you will using in your sump, you can get a feel for how much each filter will cost and what models will work for you by clicking on the links below. Read Reviews ​& Compare Prices on In-Sump Protein Skimmers. Read Reviews & Compare Prices on or Build Your Own Wet/Dry Filter. Read Reviews & Compare Prices on Submersible Heaters. Read Reviews & Compare Prices on Submersible Pumps (Powerheads). Many aquarists also put Live Rock, some of the Beneficial Macroalgaes or even Mangrove plants in their sumps. Setting up the Protein Skimmer in Your Sump isn't difficult, it just takes a little planning. The next step is a pretty quick one. Some equipment (pumps, skimmers, canister filters, UV filters) can be placed outside of the tank, connected to the tank with various hoses, pipes or overflows. No need to use Hang On or In Tank equipment. Can make the area near the tank cluttered. Increases possibility of external water leaks. The next fork in the road: Is externally located equipment a possibility or desirable for your situation? If you don't want to have a sump and you want to keep your tank (inside and out) as uncluttered as possible, remote mounted equipment may be the ticket for you. There are a number of pieces of equipment which can be mounted a distance away from your tank. Many of the items below were specifically designed for or can be adapted to remote mounting. Many In-Sump Protein Skimmers can be easily adapted. Most Canister Filters are designed to adapt easily for remote mounting. Many of the Combination Wet/Dry systems can be adapted, also. Be careful when you are selecting and setting up the components. Some of them require that they be kept at the same level as the tank. There is a wide variety of equipment which can be hung outside the back and sides of an aquarium. Protein skimmers, water pumps, wet/dry filters and overflow supplied equipment can be found in a variety of styles, made by a number of manufacturers. The types of equipment which can be mounted or used inside the tank is somewhat limited. However, there are a number of filtration systems which are designed to use only In-Tank equipment and materials. Many SW aquarium purists utilize very few devices and have some of the most fantastic aquariums you will ever see. Many aquarists prefer the convenience of Hang-On-Tank equipment. If you have the room (usually less than 8") on either the back or sides of your aquarium, you will find this a great place to hang all of your new tank toys. 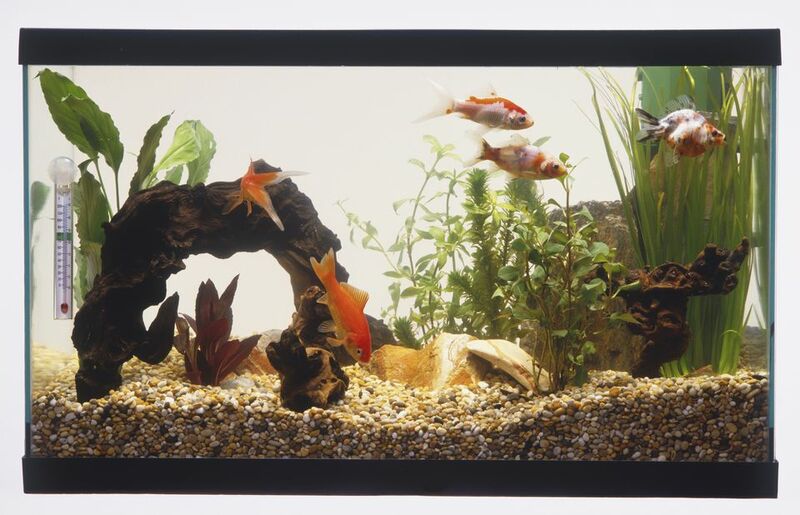 Almost every type of saltwater aquarium equipment can be found in a Hang-On-Tank style. The following links will give you an idea of what Hang-On-Tank equipment is available on the market and how much the prices vary. You can easily mix and match different pieces to complete your filtration system design. Relying solely on In-Tank equipment limits your options for filtration equipment somewhat. That being said, some of the most outstanding FO, FOWLR and Reef systems use only what can be placed in the tank for filtration. Under Gravel Filters are the old standby and work quite well. They do require a bit more maintenance than some of the other Biological Filters, but they are inexpensive (you can easily custom build your own UGF) and easy to install. The Undergravel Filter Controversy will probably rage on for years, but you can read the arguments and make your own decision as to whether or not it will work for you. The Live Rock / Berlin Systems and the Live Sand Filtration & Jaubert or Plenum System setups have been around for quite a while and are among the favorites used by reef system purists. There are a number of In-Tank-Skimmers which take up little room in your tank and work quite well. For water circulation in your tank, the wide variety of Submersible Pumps on the market today gives you plenty of choices to pick from. Add a submersible heater (optional) and an air pump (if needed) and you are ready to go.